Here are outlines of the remaining books currently planned for the series – and the input needed. We’ve given a lot of details to invite and encourage people in the field, who can work with us on drafting, illustrating and telling stories – and to encourage people who could offer financial support and backing to help us complete this much needed series as quickly as possible. A momentum of the right people now could make it happen very quickly. Part of what brings our books alive, is the rich “gold nuggets” they contain. If you’ve got any to share, from your experience as parents or professionals, we’re always interested in hearing about things that might enrich any of our books. Details of the books follow, with more information about the input needed at the end of this page. 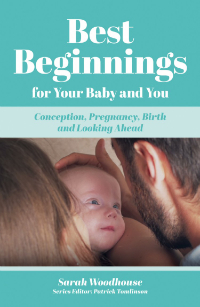 Best Beginnings for Your Baby and You. Conception, pregnancy, birth and looking ahead. .
Understanding the need for continuing encouragement, support and help of every kind for every woman as soon as she conceives. The effect this comfort will have on her pregnancy and her baby’s growing brain and personality – and therefore childhood and beyond. Parents’ love and communication with their baby right from the start – from conception – and the welcome given at birth. Finding confidence, unhurried patience and joy whatever the setbacks. Important new research findings. Waiting for funding for publication. Best Beginnings. The amazing development of your baby in the first nine months. .
Recovery from the birth. The intelligence of a newborn. Your baby’s incredible brain. Its rapid growth and heart-brain connections during the early months. Why keeping close day and night matters so much. Attached bedside cribs at night and slings and carriers to build that loving connection. The sense of security given to you and your baby. Belonging to each other for ever! Best Beginnings. The first three years. A very special time. . Enjoying the discoveries and the challenges. The emotional, psychological and spiritual needs of mothers, fathers and their children from birth. Vital new knowledge about the different parts of the brain and how the brain-heart connection develops during the early years. How this depends upon the skills of building a close bond between parents and their child and also on avoiding ‘separation stress’. Vital research findings. Further rich input sought before completion. Playing for Life. 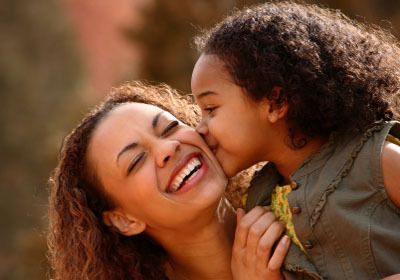 Protecting your child from hurtful influences and violence. Touch, Massage and Movement. Deepening the connection with children. Answering the universal hunger for touch – from baby massage and baby yoga to the benefits of peer massage in primary school. Understanding how movement, rhythm and music contribute to healthy and balanced brain development – and therefore a child’s capacity for happiness and learning. How quickly touch, massage and movement foster the development of warm and loyal relationships. Singing from the beginning. The rhythms and sounds in the womb. The memory of and the comforting effect, after birth, of womb sounds and parents’ voices. The different vibrations of singing and talking. Playing with music and movement. The power of singing together. The ‘belonging’ effect of making music and singing together. Planned and partially drafted. Requires further work. Happier Parenting. Less trouble, blame and punishment. Children behave well when they feel loved, supported and secure – and valued as part of the adult life around them. Helping a child to feel empathy, especially for other children. Making amends and making up. Forgiveness of ourselves and each other. Thoughtfulness and compassion. Building confidence by watching out for and supporting a child’s own interests and absorptions. Setting firm boundaries from the very beginning to foster the development of a healthy self control. 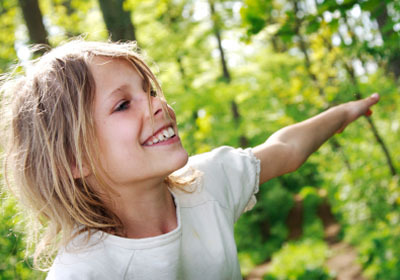 Children and the Natural World. The enchantment that feeds the human spirit. Ways to encourage a child’s understanding, enjoyment and care of the natural world, especially birds, animals, and insects, to offset the effects of screen addiction and commercial pressures. Increasing children’s sense of connection and belonging to everything that lives and grows. Exploring and sharing beauty at every level – including great buildings, paintings, trees, rocks, rivers, sea, sand and sky. Stillness, Imagination and Meditation for Children. Inner peace and confidence. Helping children to develop their inner life, to understand themselves and realise their power to love, give comfort and create beauty. Courage and healing through meditation and art. A section on Christian meditation. Rainbow Colours. A source of children’s energy and contentment. Disablement. Sharing, understanding and helping each other. A book about empathy for all children, all parents and all teachers. Strategies for understanding different kinds of disablement and for sharing and giving support. Helping children over the ‘fear and uncertainty barrier’. Encouraging inventiveness and adventure. Disabled children from Uganda and Chailey Heritage in the UK tell their own stories. Stories and photographs from the Paralympic Games, London 2012. This is being developed to accompany and support the books for expectant and new parents and their midwives and Health Visitors. Parents demonstrating some of the baby and toddler handling and calming skills described in the books. A wide range of sensitive and easy parenting strategies and patterns which can build loving, life-long bonds and feelings of security and confidence between parents and their children, even when circumstances are difficult. Do you love writing and telling stories? Or have a good memory for stories and experiences? Are you retired, worked in the field, and want to stay involved? Or have a passion for your work, a deep love for children, and a longing to take each child’s learning forward into greater happiness, freedom and excitement? Which moments in your life affected you profoundly, and could be of help to others? Could you help with any of our Multi Media? Do you know someone else who might consider helping? Creative involvement could range from: input into a particular chapter – to becoming an author or co-author. Please look at the detailed outlines of the books. If any fire your imagination and make you feel you’d like to work with us, please get in touch to talk it over. Click here to see Our Life Affirming Voice and Notes for Contributors. Protecting children from neglect and abuse – can you help us to achieve this . . . .